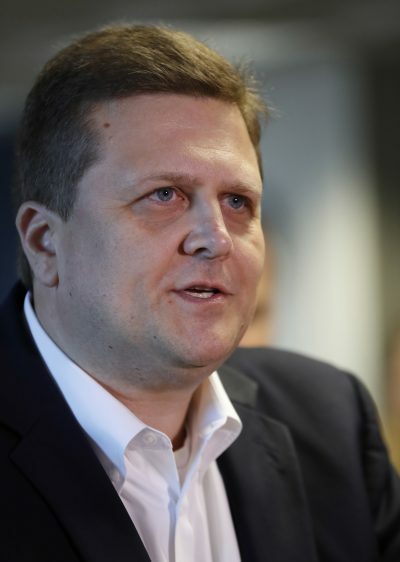 BATH — In rare public comments, Bath Iron Works President Dirk Lesko spoke about challenges facing the shipyard, largely due to the Navy’s untimely reversal on the Zumwalt-class program. As the guest speaker at Main Street Bath’s annual meeting Monday, Lesko said the Navy’s decision to truncate the Zumwalt-class destroyer program, which BIW had focused all its efforts on, to just three ships had a lasting effect. BIW delivers two classes of destroyers: The Arleigh Burke and the Zumwalt. The first of these has been the mainstay of the shipyard for 30 years. “We delivered that lead ship in 1991 — 34 ships later, we delivered DDG 112 (the USS Michael Murphy, the 62 ship in the class),” Lesko said. While the Arleigh Burke program was a profitable venture for BIW, as the shipyard entered the new millennium, it was ready for the next generation of destroyers — and so was the Navy. The Navy announced that it would end construction of the Arleigh Burke-class destroyers and begin building Zumwalt-class destroyers. The Zumwalt-class destroyers were highly technical, highly advanced stealth ships. The destroyers were built to run on an electric system that could generate enough power to run a small city, and they were expected to be the host of futuristic weaponry, such as railguns or lasers. Their angular, pyramid-like shape would give them an advantage in sneaking up on the enemy — on a radar the 600-foot-long destroyer would look no larger than a small fishing vessel. “In the years that led up to that contract, we worked to change the shipyard from DDG 51 (Arleigh Burke-class) construction to DDG 1000 (Zumwalt-class) construction. We changed the tools, our design practices, the way we planned the ship and the production work labor,” Lesko said. The shipyard went through a massive transformation, he explained, as it transitioned from building a ship that was designed in the 1980s to a ship that was designed in the new millennium. Around the time BIW first signed its contract to build the Zumwalt-class destroyers, the Navy slashed its order to just three ships to reduce costs. “The problem with the (Zumwalt) program is that it was very, very technically challenging, which was not so much an issue that couldn’t be done, but that it was going to be very expensive,” said Lesko. With the Zumwalt-class destroyer program limited to just three ships, the Navy restarted the Arleigh Burke-class program with some upgrades. Still, the decision to limit the Zumwalt-class destroyers to just three ships carried significant ramifications for BIW’s work on the Arleigh Burke-class destroyers. “We had for years prepared the shipyard to do something different,” Lesko said. At the same time, the shipyard had lost many of the experienced hands, who knew the Arleigh Burke-class inside and out, through attrition. 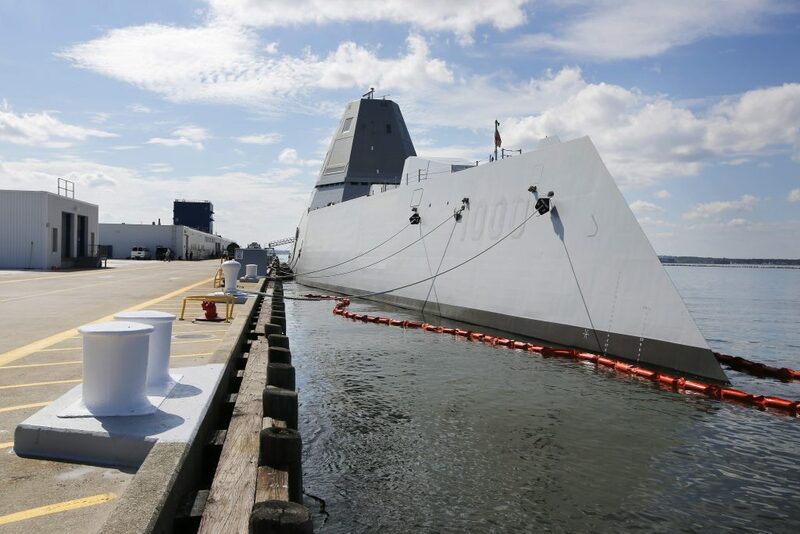 They also had to learn to build the older model of destroyers with new tools and design practices that were intended for Zumwalt construction. BIW effectively had to relearn how to build the same ship it had been building since the 1980s. “That has been very, very challenging for us,” Lesko admitted. Lesko didn’t have much to say about the shipyard’s future plans. At the moment, the Arleigh Burke program is still the shipyard’s mainstay. In the most recent contract competition, BIW was awarded four Arleigh Burke-class destroyers, while its competing shipyard, Mississippi-based Huntington Ingalls, was awarded six. At the same time, BIW is vying to build the Navy’s next class of frigates. For now, Lesko takes pride in what BIW was able to accomplish in the Zumwalt series’ limited run. “We’re hopeful that as the Navy gets that hull form and uses it, it may well be something that they use in a future service, so our efforts won’t have been in vain,” he added.